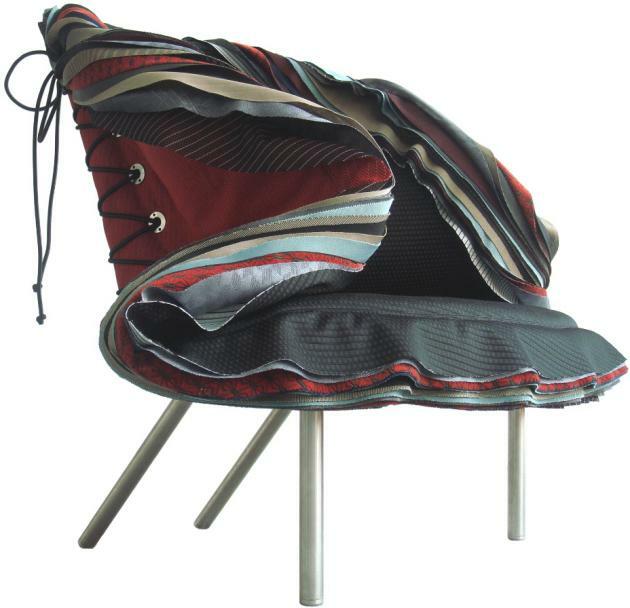 Australian designer Simone LeAmon has won the 2009 Cicely & Colin Rigg Contemporary Design Award for the Lepidoptera Chair. The award focuses on contemporary design in the Australian state of Victoria, and is organized by the National Gallery of Victoria. 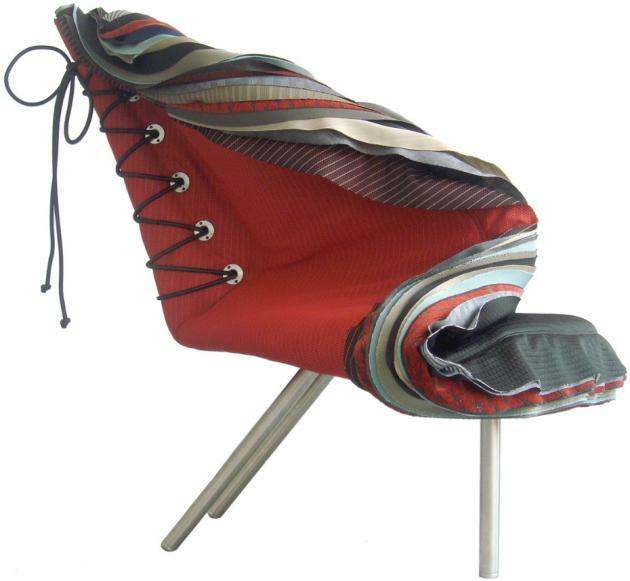 This year, the award was dedicated to contemporary seat furniture design. Visit Simone LeAmon’s website – here. Titled Lepidoptera after the insect species of moths and butterflies, my concept draws on the anatomy of a butterfly’s wing to bring purpose to the formal equation of structure, colour and pattern. Translated from Greek to mean ‘scale’ and ‘wing’, Lepidoptera are powerful signifiers of evolutionary process, providing new perspectives on issues as diverse as climate change, technology, structure and aesthetics. Present in Lepidoptera is LeAmon’s long-held fascination for the equation between mobility and freedom and the machismo of moto culture. Central to her practice as both designer and artist are the transference of desire and passion for products that tell a story through process and material. Referencing the automotive interior and low orientation of the driver’s seat in her Tom Matano designed sports coupé, LeAmon designed Lepidoptera while exploring the concept of the ‘power-seat’. A key feature of Lepidoptera is the use of textile remnants and R&D spillage from Australia’s leading automotive textile manufacturer Autofab. One intriguing aspect is the textile component, which shares linkages to the automotive interiors of Holden, Ford and Mitsubishi vehicles manufactured in Victoria over the past decade. Simone LeAmon is a designer and contemporary artist. She is the founding director of O. S. INITIATIVE design studio. LeAmon has developed product designs and concepts for international clients in lighting, furniture, interior accessories, graphics, motorcycle apparel, fashion and jewellery. She holds the position of Creative Director at Planex, a leading Australian design manufacturer and is the Australasian Design Ambassador for Italian lighting design company Oluce. Simone first worked in contemporary arts, graduating from the Victorian College of the Arts in 1993. She has worked with a variety of media including drawing, painting, sculpture, performance and digital. Between 1996 and 1998 she spent time at Workshop 3000 working for Susan Cohn. In the ensuing years LeAmon was a partner in n+1 equals interdisciplinary studio in Melbourne and received a Master of Design in Industrial Design from RMIT University in 2004.